This week, The CW announced it has ordered additional episodes for their freshman comedy Crazy Ex-Girlfriend (see The CW’s other line-up announcements here). 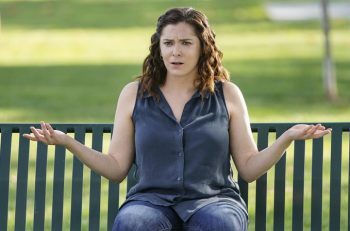 With a cult following, Crazy Ex-Girlfriend has quickly become a fan favorite and lead character Rebecca Bunch has captured audiences with her surprising relatability. Not only has Rebecca captured the attention of viewers, but also of two of the male leads: Josh and Greg. That brings us to our ship war today. Who do you ship? Rebecca and Josh. Rebecca moves from New York City to West Covina, CA where high school boyfriend Josh lives. While she claims he is not the reason for the life-change, he is at least part of her inspiration. Therefore, Josh is extremely important to Rebecca and their past relationship has kept a hold on her heart. With Josh beginning to see Rebecca for who she is now and finally seeing how great she could be in his life, is their’s an old love that could be rekindled? Rebecca and Greg. Local bartender Greg was taken with Rebecca from their first meeting. Fans love his sarcasm and his care for Rebecca. He likes Rebecca despite her feelings for Josh so much that he would consider being with her even if she was only settling for him. Would she just be settling, or is a relationship with someone new who is crazy about her just what adult Rebecca needs? Vote below and be sure to check out Crazy Ex-Girlfriend Mondays at 8 on The CW! I love: Jesus, being a wife and a mom, living in Durham NC, Duke U, and, of course, television! Previous article The Unauthorized FNL Musical is Coming…and Guess Who’s Playing Coach! !